Based on the 2004 novel of the same name, Suite Française is the story of a French woman’s love affair with a Nazi lieutenant during the German occupation of France. As well as its central romance, the film also looks at the lives of several members of a small village and the strains placed upon them by the occupation. At a time where a German victory looked certain, we witness the reactions and behaviours of people who didn’t have the hindsight we have now. Saul Dibb’s third feature film has all the emotion and predictability of any World War Two drama but it’s perfectly sufficient. Lucille’s husband is at war – in his absence she is left residing with her mother-in-law. She is bitterly alone and music remains her only escape. Her mother-in-law pines for her son in a way that Lucille does not. An arranged marriage has left her in a wealthy, unfamiliar world where she is encouraged to maintain a no exceptions policy when collecting rent from the struggling farmers living in her husband’s properties. When the German’s reach their village, and the clocks are changed to German time, she finds a new presence in her house – a Nazi officer they are forced to accommodate. Connected by their love of music and their isolation from those around them, Lucille and her new house guest are soon consumed by their infatuation with one another. The two central performances make Suite Française seem like a much better film than it actually is. Michelle Williams never disappoints – she’s come a long way since Halloween H20: 20 Years Later. She captures a fragility and a fire within Lucille that only grows as the film progresses. Matthias Schoenaerts is the sexiest cinematic Nazi of all time whose own vulnerability is hidden from the men he has to obey. He is experiencing his own kind of captivity – trapped in his responsibilities and commitments to his country. The chemistry rages between Williams and Schoenaerts and both look fabulous in their period head-ware. 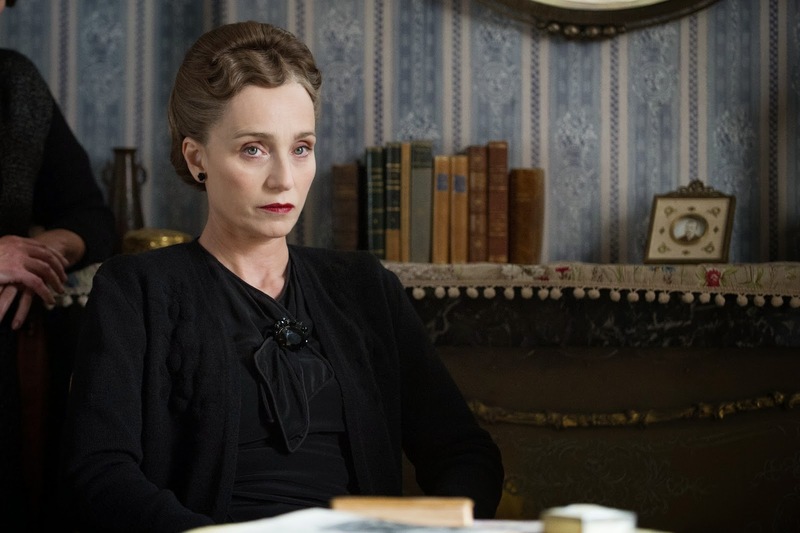 Kristin Scott Thomas plays the lady of the house with her usual icy perfection. Her character is cold and collected – a ruthless woman who is defiant in the face of the occupation. Suite Française is clichéd but sufficient. It does what is says on the tin just like The Reader before it. You probably won’t want to watch it again but it makes do for a rainy Sunday. My eyes glazed over with tears several times and I was somewhat moved by the romance and the injustice. The film lazily resorts to making the Nazi’s either villains or victims who can’t seem to decide whether to talk to one another in German, English or French; but nobody expected this to be Casablanca or Schindler’s List. Tags: Adaptation, Cinema, Drama, film, Film Review, France, Germany, Kristin Scott Thomas, Matthhias Schoenaerts, Michelle Williams, Movie, Movie Review, Nazi, Review, Romance, Saul Dibb, Suite Française, World War Two. Bookmark the permalink.